No more upsells once you get past the first 4. Most go through various upsells. With the many work from home programs out there, it can sometimes be difficult to weed out the scams from the real opportunities. Thankfully you came to this site which will help you to choose the best programs out there so you can begin making a lucrative income from home. When I first heard of Google Sniper 3.0, I was actually referred to it by an affiliate. Of course after marketing online for some time now, I am pretty familiar with many affiliate marketing tactics and knew that I was being referred to a potential scam. I decided to try out the program for myself and was not at all surprised by what I found. So, let’s stop wasting any more time. Let’s just get right into it! Without further ado here is my honest Google Sniper 3.0 Review. If you have yet to hear of a man that goes by the name of George Brown, let me give you simple rundown of who this guy actually is. George Brown is a man that is most commonly known for his dirty and borderline illegal marketing practices on the Internet today. This man has been responsible for creating various online programs and products in the past but is most popularly known for his creation Google Sniper 3.0. There have been several versions of this so called “money making” program in the past, but the one that I want to talk about in this review is the latest version Google Sniper 3.0. Before I actually get into the review itself, there are a few things that I want to share about some of the products that this man has created in the past. On a popular marketing forum known as Warrior Forum, George Brown is most popularly known for one of his products known as PREDATOR. In the screen capture below you can see a few members of Warrior Forum who have tried out this particular product and didn’t have a good experience trying it. Look below as this members gives the other members of Warrior Forum a heads up on this downright scam. In the screenshot you will not see a lot of information given however, it will show you what some of the products that George Brown has created can be capable of. After seeing some of the reviews of George’s other programs, I knew I had to be especially careful when I tried out Google Sniper for myself. The first thing that I noticed right away when getting into the process of actually buying into the program was the simple fact that I didn’t even get a chance to use the program for about 15 straight minutes. It takes so long just to get through the entire sign up process because almost immediately you are bombarded with about 4 different upsells before you even get the chance to check out the program for what it is. As bad as that sounds, it is not even the worst part. The worst part about the entire sign up process is the simple that that you are almost tricked into buying into a monthly membership for the program which costs nearly $50 a month. Don’t believe me? Check it out for yourself. If this is a program that you want to sign up for, just make sure that you uncheck the option for a monthly membership so you don’t find yourself roped into this reoccurring fee if the program doesn’t work out for you. This is just one of the many sneaky tactics used by George Brown and it is just one of the many common traits of all of his programs. The moment you are able to get past the upsells for Google Sniper 3.0, you are finally given access to the member’s only area. This area of the program, which I hate to admit, is laid out very nicely. The moment you are given access you are asked to watch a 16-minute long introductory video which is nothing about useless prattle about Google Sniper itself. While this particular video is really not at all that helpful you can find several other videos that will help you to promote the program and to begin making money as soon as possible. Once you are ready to start making money and to start promoting the program, you are then asked to create a few profiles on popular social media sites such as Facebook, Twitter, Instagram and Google Plus. While this may seem like routine affiliate marketing, it soon becomes clear how shady the practices are when the videos instruct that you send direct message about the program. This is considered spamming and could land you into trouble with many of these popular social media websites, not to mention that it is annoying to contact the people closest to you to scam them into making a quick buck here and there. Here is an example of a spam filled post below. Other than a bunch of videos that walk you through how to make money with the program, you will find a variety of .pdf files that you have to go through. While this may not seem like much one of the .pdf files that you have to go through is nearly 108 pages long. This training file contains a bunch of information that you can easily find yourself by conducting a simple Google search such as how to find profitable keywords, how to find the perfect niche, etc. Some of the information in this training file is helpful but considering the fact that it was originally written in 2009 makes it quite outdated and pack full of information that could land you in serious trouble with Google today. The moment you are in the program itself, you won’t be surprised by any more upsells. All of the information is laid out very well. Many of the practices and techniques that you learn from this program are illegal and unethical. Too many upsells that you have to navigate around when you are trying to sign up for the program. Deceptive reoccurring fee that you have to be wary of. The training that is given are outdated and will not help you to make money today. If you are brand new to the world of making real money online and you are looking for simple tips on how to do it, this program does hold some pretty useful information. However, I would be cautious about using most of the information given in this particular program as many of the tactics and strategies that you are taught will only land you in serious trouble. Some of the tactics that you are instructed to use are spamming tactics and that is not only frowned upon in the online marketing world, but it will get you banned across various websites today. This program is primarily for people who have little to no Internet marketing experience. If you happen to have some experience with online marketing then you will not benefit from this program at all. Surprisingly this program does have a support system in place that you can utilize if you ever run into a little trouble. However, it is a pretty standard email marketing system that takes at least 24 to 48 hours for you to get a response. So, if you are looking for one on one assistance, you may as well look elsewhere because you will not be able to get it here. Just check out their policy on receiving help from the support below. As you can see above you are pretty much left on your own to figure things out, making it extremely hard for you to make any money if you never had prior Internet marketing experience below. 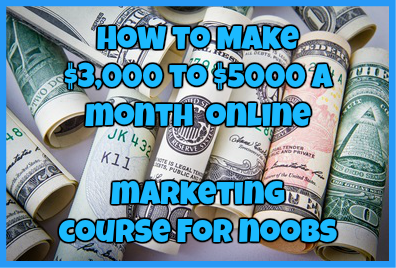 This is not the best way to learn how to make money online, nor will you be successful at all. To be successful online, you need a strong support system and you simply will not get it here. If I am going to be honest (which I am when it comes to the reviews on my site), this program is exactly like its predecessor and there really aren’t that many changes that have been made. While there is a lot of helpful information that is given within this program, there are many shortcomings as well. Majority of the time the training videos will not load, the .pdf files are just way too long to go through and most of the information that is given is severely outdated, making this a poor learning experience for those looking to make a living online. On top of that the standard $47 fee is just too hefty of a price to pay, especially since there is no way for you to try out the program free for yourself first. Add in the lack of a support system and the many upsells that you have to navigate through, this is just not a good program to pay for. 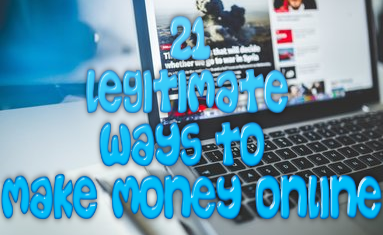 In all honesty if you want to make money online, there are much better ways and places to learn how to do it. My advice: Just stay away from this program at all costs. Have you tried Google Sniper 3.0 for yourself? Have you had any success with it at all or was it not as it cracked up to be? Regardless I would love to hear from you. Drop me a comment below. ← Mega Commission Machine Review: Can It Really Amp Up Your Commissions?